Is Tina Campbell Getting Fired From 'Mary Mary'? 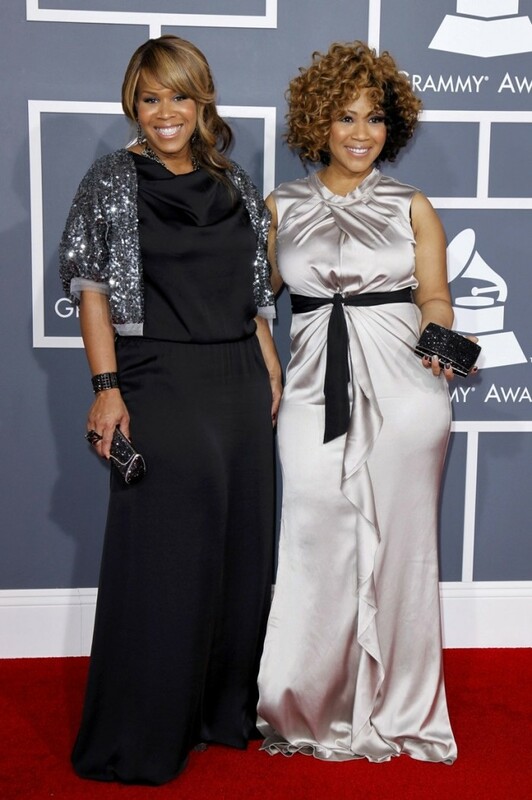 Tina Campbell's position in the award-winning gospel duo Mary Mary is in jeopardy in the fifth season of her WEtv hit show with her sister and fellow group member, Erica Campbell. "How about we just cast another Mary Mary," Erica Campbell's husband and the group's producer, Warryn, asks in an upcoming trailer for the show provided by WEtv. Warryn's threat to fire Tina comes after the singer refuses to cooperate in expediting the process of creating another Mary Mary album. For over two years, both Erica and Tina took a hiatus from the group to focus on their solo music efforts. While Tina is not quite ready to make another group album, the pair are contractually obligated to do so or may have to pay back over $1 million to the Sony record label. The former Mary Mary group manager Mitchell Solarek arrives on the scene in a trailer for the upcoming show, pitching one of his clients to join the award-winning music duo. That client happens to be 18-year-old singer and former contestant on "The Voice," Koryn Hawthorne. While Tina tells her sister that the financial repercussions for not giving Sony their promised album would be Warryn's problem, she refused to believe that there would be another version of the group without her. "There's never going to be another Mary Mary," Tina said in a trailer for the show. Last year, Tina told JET magazine that she refused to engage in drama on her show this season. "I'm contractually committed, yet I want to reflect my God even with these executives and behind the scenes people," Campbell told JET. "I'm not compromising my faith by no stretch of the imagination." "I'm not what TV likes. TV likes drama and I have a very big personality, [and] I think TV likes that kind of person, but, they're looking for fear and problems," Tina added. "I ain't that. So it's challenging for me at times. They've got to be creative when they're taping my life and things." The singer has publicly documented her decision to forgive her husband and drummer, Teddy Campbell, for stepping outside of their marriage and even renewed their vows. After engaging in a number of interviews, taking to social media, creating an album and devotional book about overcoming marital strains, Tina is ready to document the results of forgiveness on her show. Season five of Mary Mary airs March 3 on WEtv at 9 p.m. ET.